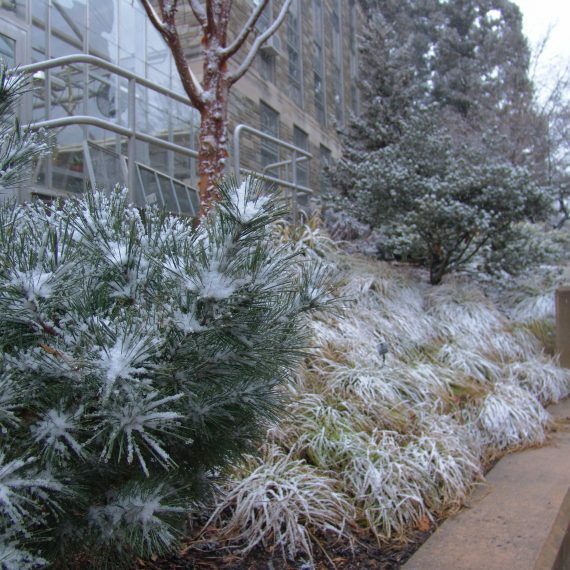 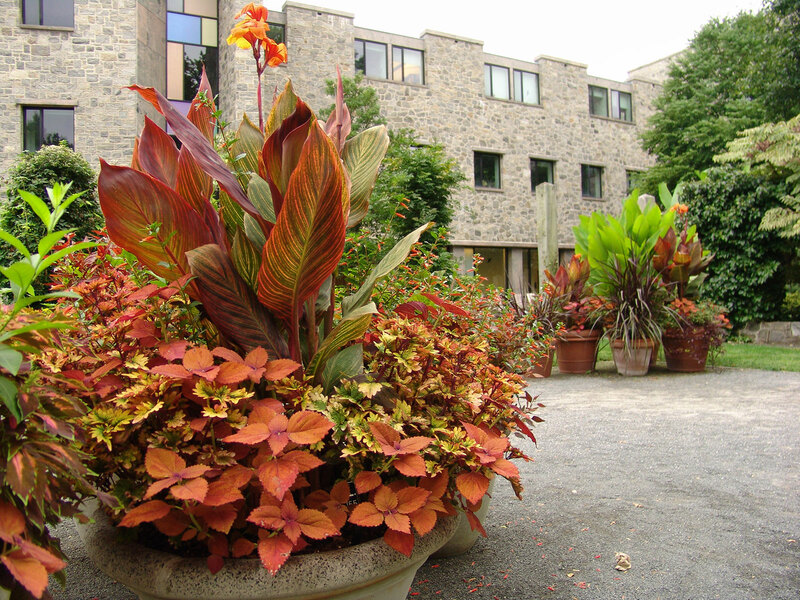 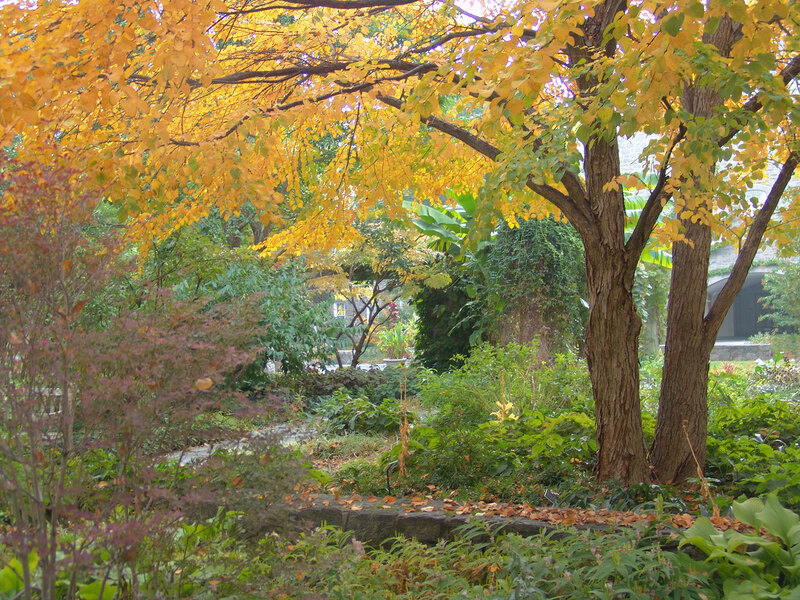 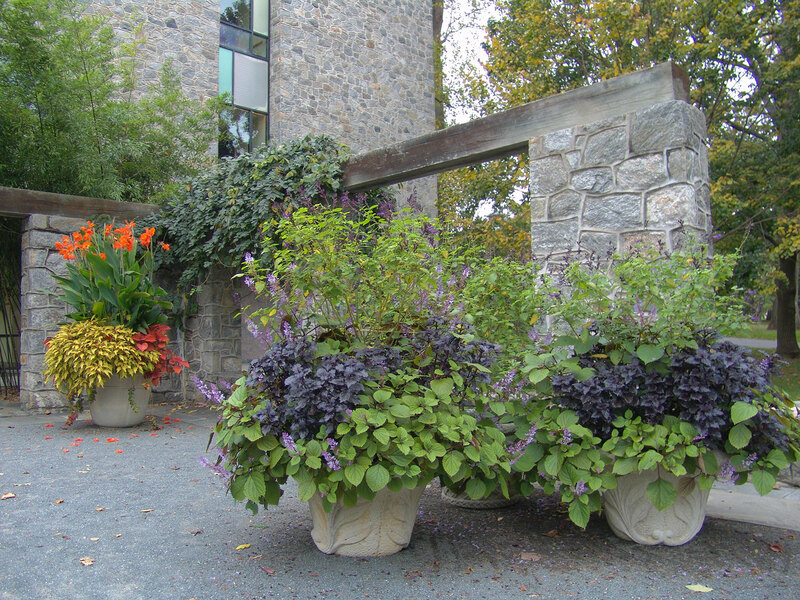 Kohlberg Hall provides a dramatic backdrop for this garden which features many plants with gold or purple foliage. 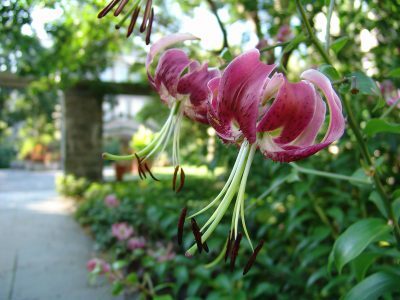 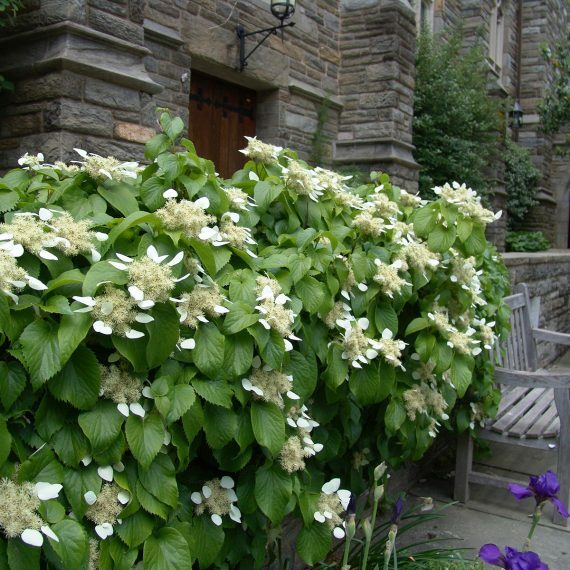 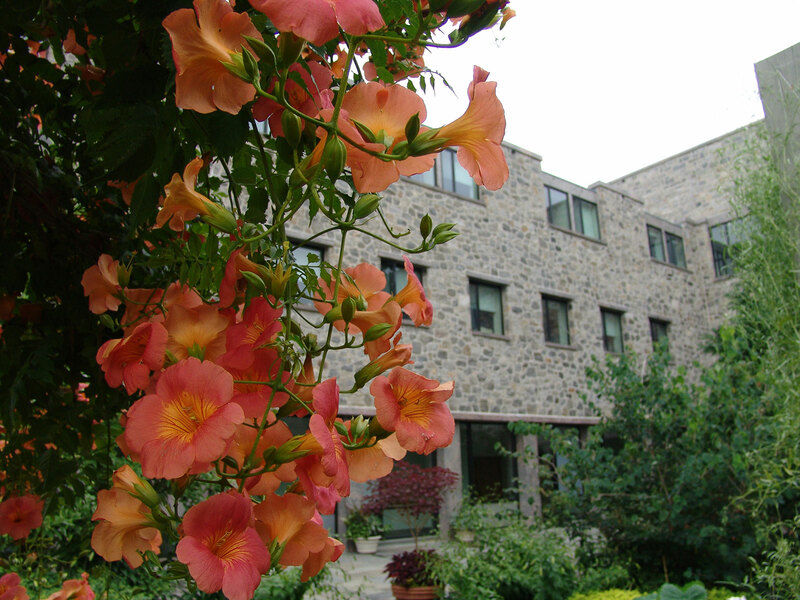 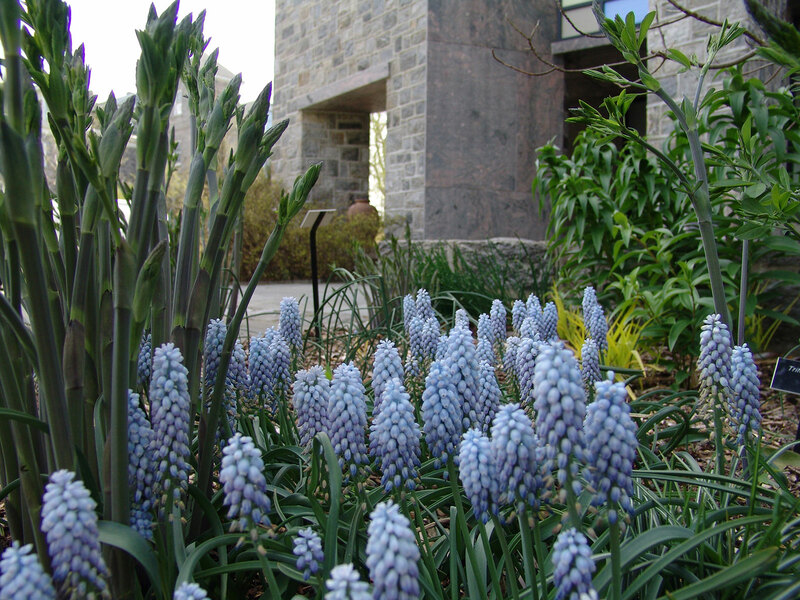 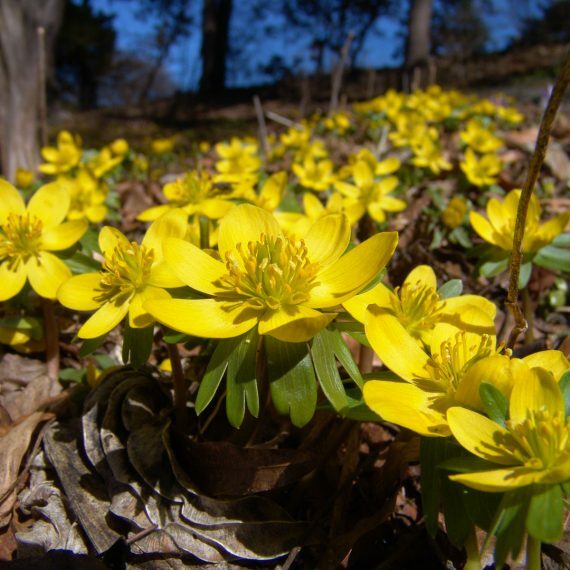 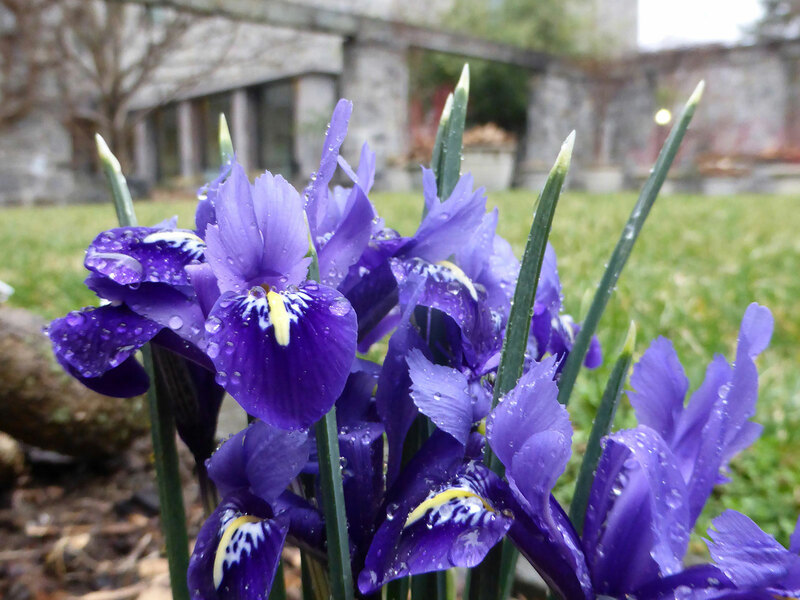 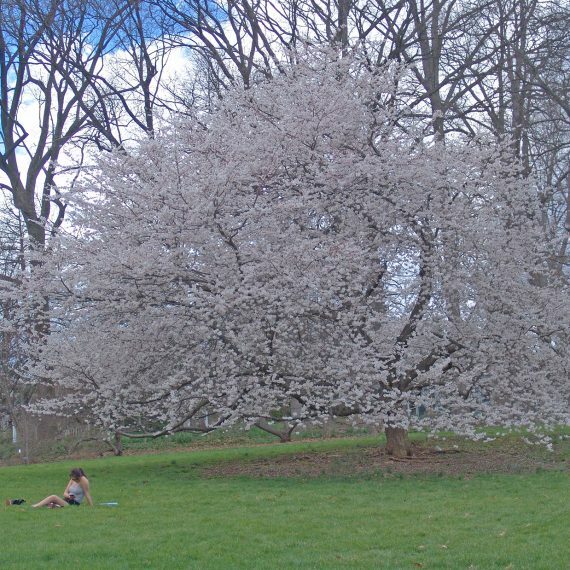 Trees, shrubs, perennials, and bulbs fill this courtyard garden with blooms every month of the year. 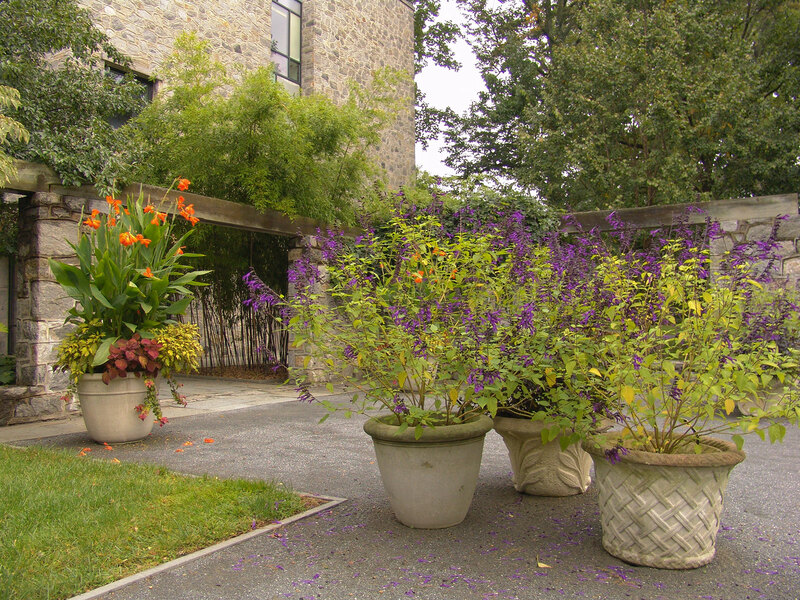 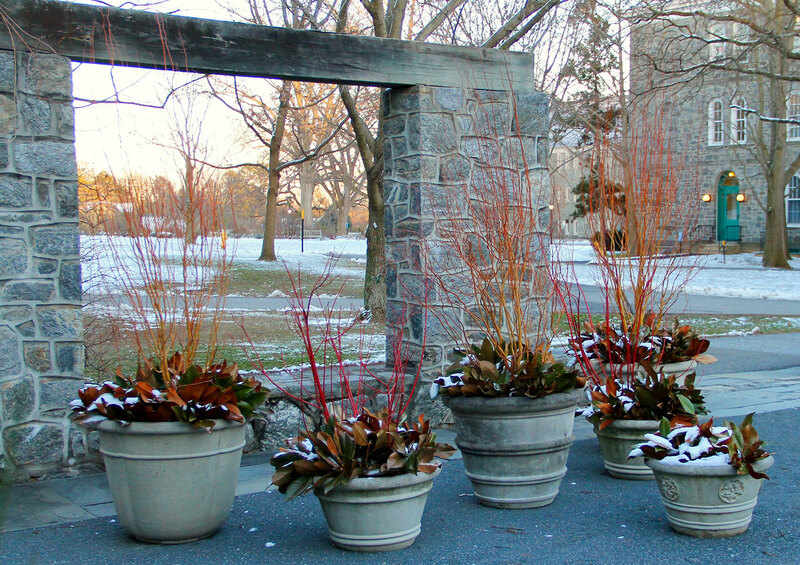 Large containers display evergreen plants during the winter and tropicals in the summer. 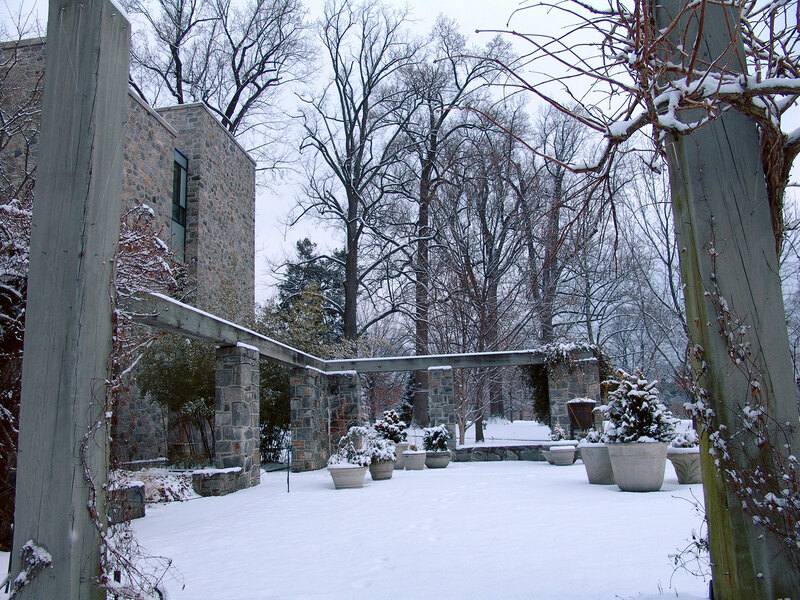 A low stone wall outlines the footprint of a building, Parrish Annex, which once stood where the garden now grows. 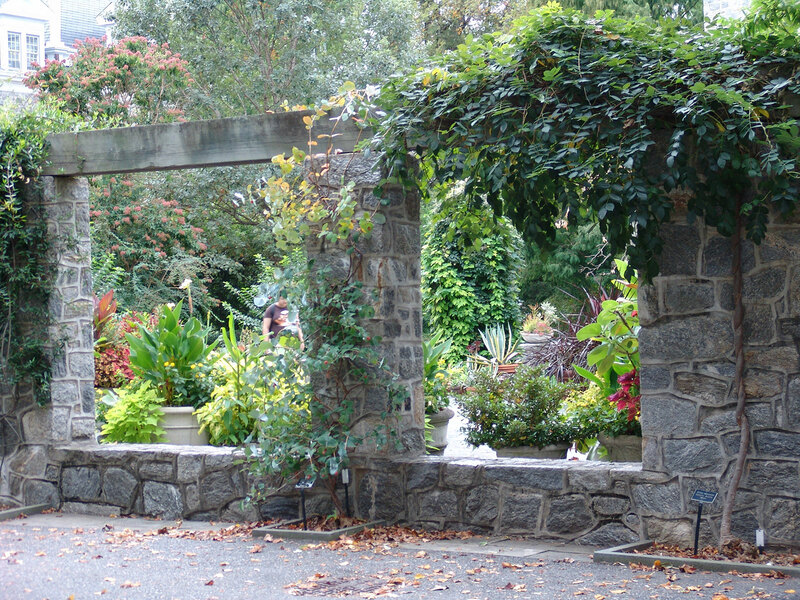 Internal pillars found in the courtyard are covered in vines.